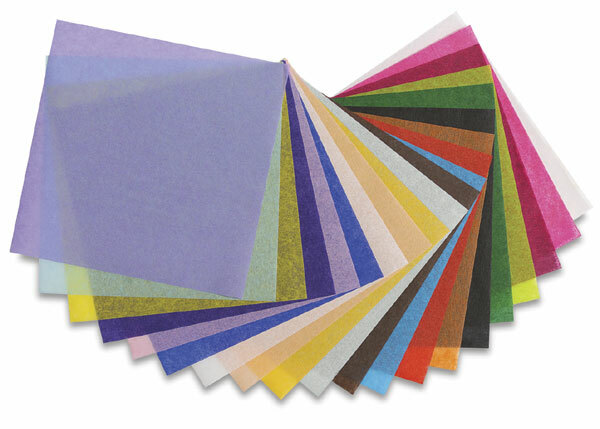 Blick's Colored Tissue Assortments offer a packaged selection of Blick Art Tissue, the brightest colors available in tissue paper. Each crisp color is reasonably lightfast and, under normal conditions, will not bleed. An assortment of 20 colors, 20" × 30" (508 mm × 762 mm).